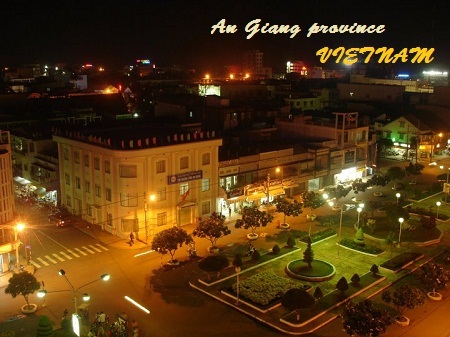 Districts: La Gi Town, Tuy Phong, Bac Binh, Ham Thuan Bac, Ham Thuan Nam, Ham Tan, Duc Linh, Tanh Linh, Phu Quy. 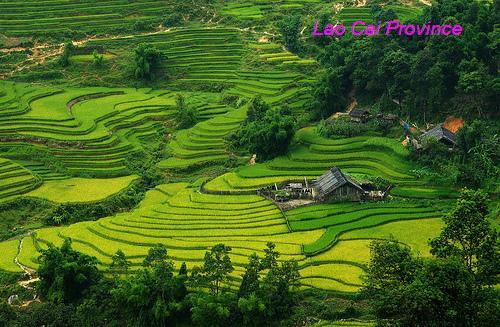 Binh Thuan attracts tourists by lovely landscapes. The mountains lie from west to east and reach beautiful beaches. Famous tourist sites include Phan Thiet, Mui Ne, Doi Duong and Ham Tan. Coming to there, tourists are able to have leisure activities as swimming, fishing, climbing, yachting, golf playing in many beaches and resorts such as Hon Rom, Novotel Ocean Dunes, Malibu, Palmira resorts... Apart of that, there are many great architectural sites such as Po Sha Nu Tower, Ta Cu Mountain, Hang Pagoda, Cham Royal Family Collection etc. Binh Thuan was once a part of the Cham kingdom. 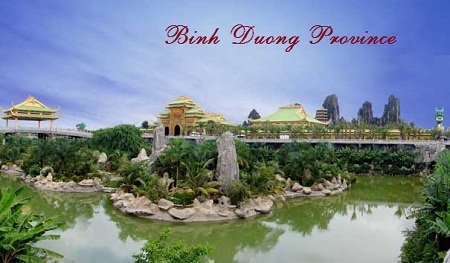 In 1692, Lord Nguyen Phuc Chu captured the area and named it Binh Thuan Dinh. 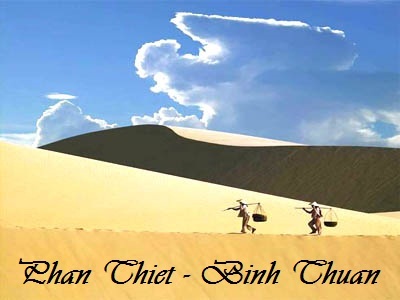 Binh Thuan is quite important in Vietnam's history, as it was because of this area that in 1306 King Tran Nhan Tong agreed to the marriage of princess Huyen Chan to King Jaya Sinhavarman III of the Cham Kingdom. During the revolution against the French, it was in this area that the two patriots Phan Chu Trinh and Tran Quy Cap had their start. 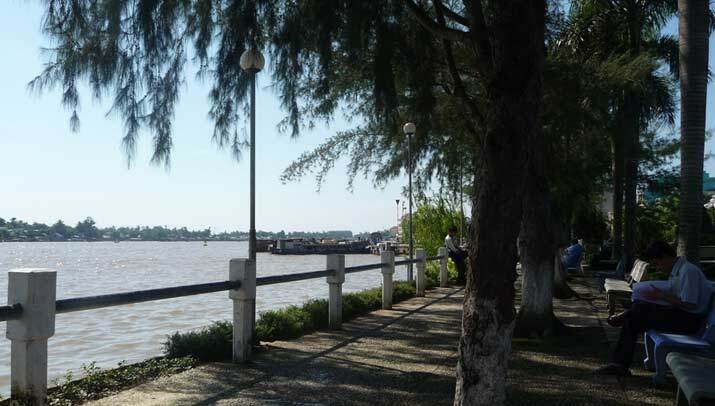 Furthermore, according to local lore, the area around Phan Thiet is where Han Mac Tu, the disfigured poet, spent his time forlornly as he waited for Mong Cam, the lady of his dreams. 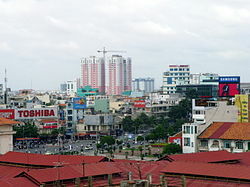 Binh Thuan Province is located on coast of South Central Vietnam. It shares its border with Ninh Thuan Province to the north-east, Lam Dong Province to the north, Dong Nai Province to the west, Ba Ria - Vung Tau Province to the south-west, East Sea to the east and south-east. 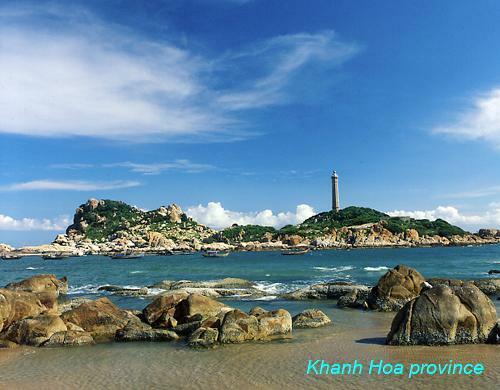 Binh Thuan has three types of topography: mountainous, plain and coastal. The coast longs over 192km with many capes: La Gan, Mui Nho, Mui Rom, Mui Ne, Ke Ga. They create good seaports: La Gan-Phan Ri, Mui Ne - Phan Thiet, La Gi. 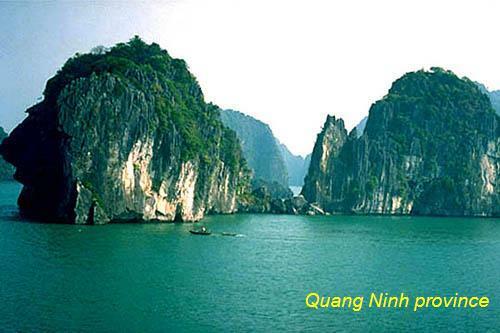 The Phu Quy District offshore links mainland to Truong Sa Island. 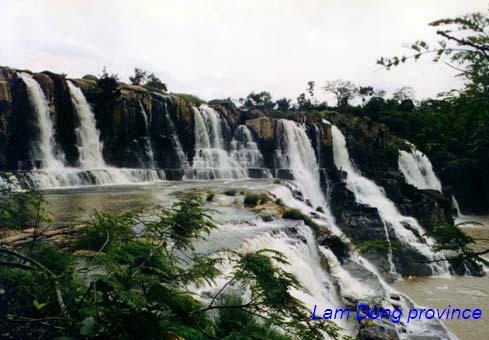 The main rivers run through the province are La Ga, Quao, Cong, Dinh. 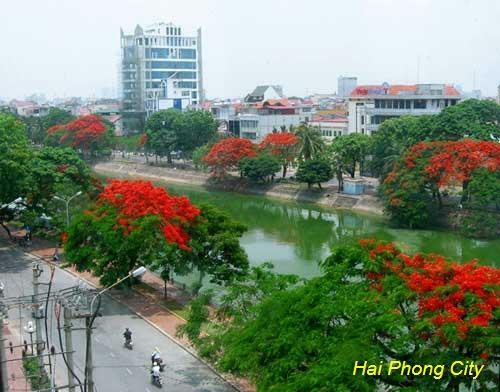 Binh Thuan has many forests so that wood, cashew nut processing and handicraft are strong point of province. 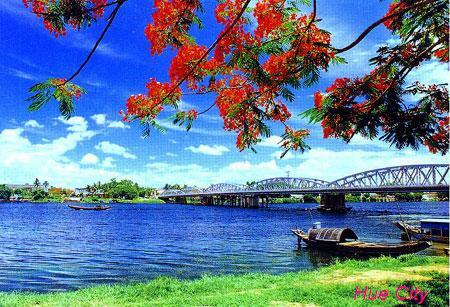 The long coast-side is convenient for sea economy such as fish catching, salt and fish sauce processing, frozen seafood. 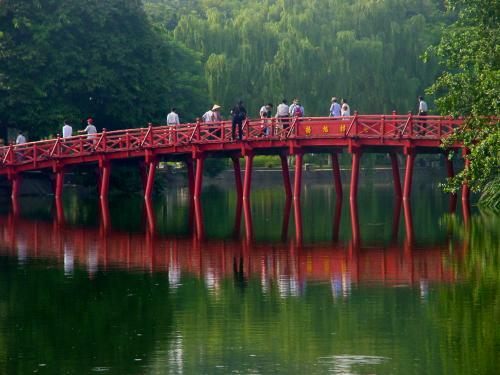 Binh Thuan attracts tourists by lovely landscapes. The mountains lie from west to east and reach beautiful beaches. 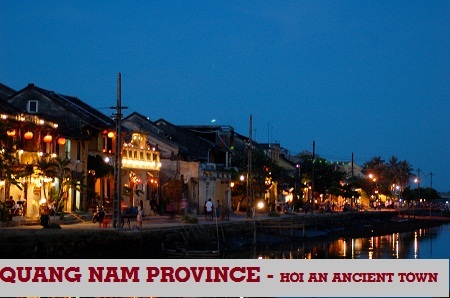 Famous tourist sites include Phan Thiet, Mui Ne, Doi Duong and Ham Tan. Coming to there, tourists are able to have leisure activities as swimming, fishing, climbing, yachting, golf playing in many beaches and resorts such as Vinh Hao - Tuy Phong, Hon Rom, Novotel Ocean Dunes, Malibu, Palmira resorts... Apart of that, there are many great architectural sites such as Po Sha Nu Tower, Ta Cu Mountain, Hang Pagoda, Cham Royal Family Collection etc. 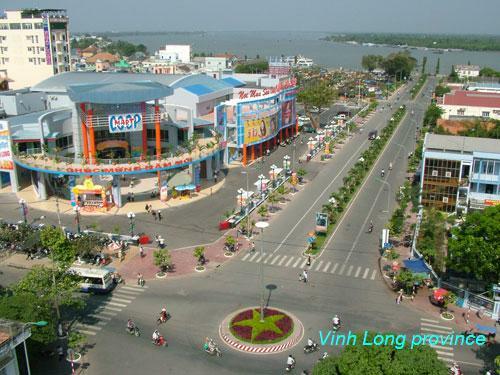 By Road: Phan Thiet is 200km from Ho Chi Minh City, 247km from Dalat, 250km from Nha Trang and 1,518km from Hanoi. The National Highway 1A passes through Phan Thiet. By Train: The express train between Hanoi and Ho Chi Minh City stops at Muong Man station. You are pleasure choice a city!